With graduations recently happening and students getting ready to move on to the next stage of their life, it’s time to contact the best catering in Kalamazoo for your graduation parties. Even though we’re getting into the later parts of June, it’s not too late to hire the best catering in Kalamazoo to feed your guests. Our catering service from Kalamazoo Country Club can help you design the perfect menu based on what you and your graduating student want to eat. With a wide selection anywhere from breakfast foods, contemporary lunches, to savory dinners, Kalamazoo Country Club can deliver to you all your favorites, so you and your guests will be satisfied. Our professional chefs have years of experience satisfying our members and guests, and we’re sure that whatever food requests you have, they can craft the perfect dish. Kalamazoo Country Club has different rooms depending on the amount of space you need, as well as how big you want your graduation party to be. For a small party, you could host a party in one of our smaller rooms, like our Garden Room. If you have a big family and a large circle of friends that are going to celebrate your amazing success, then a combination of our Front Dining Rooms are the best choice. With complete room for a dance floor and musicians, your guests can enjoy the company of each other at your party, while also having a great time. 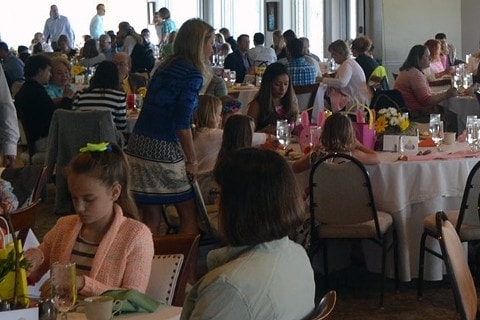 With unique social events, beautiful grounds, and unmatched meals, Kalamazoo Country Club is the best location for you and your family to spend time together indoors and outdoors. With a team dedicated to providing the best service possible, you and your family and friends will leave us satisfied with every visit.